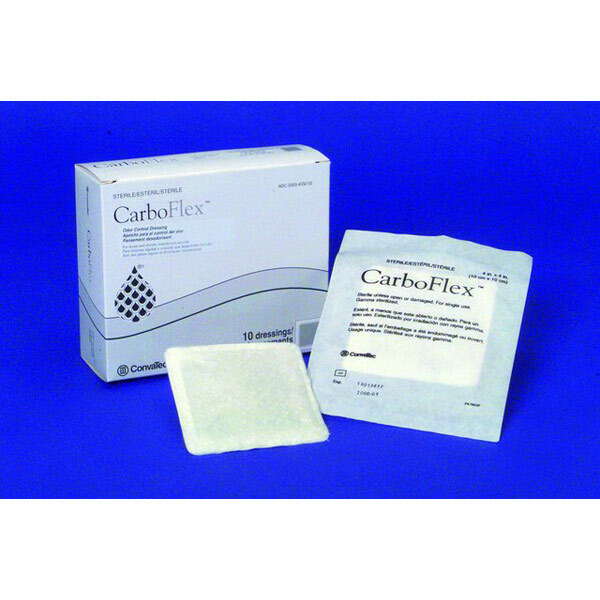 CarboFlex Odor Control Dressing Advanced, multi-layered dressing effectively manages infected malodorous wounds. Double-knit, activated charcoal cloth layer provides effective odor absorption. Smooth, flexible, water-resistant outer film sleeve keeps charcoal layer dry. Alginate/hydrofiber layer creates moist wound interface; forms gel in the presence of drainage. Soft, nonadhesive wound contact layer conforms comfortably to wound site. Box of 5 3" x 6" Dressings.